You may request a private one-on-one pilates class to teach you the required basics of pilates if you are a beginner. Or, if you are more advanced you may prefer a private session with an instructor to focus on your specific needs, and to work out on the reformer or wunda chair. Sarah qualified as a physiotherapist in 1999. After working briefly in South Africa, she went over to London to work for five years. There she had the privilege of working with highly qualified physiotherapists dealing with elite sportsmen and women and high level rehabilitation. After returning to South Africa in 2005, she opened her own private practice and has always had a passion for quality assessments, specific hands-on treatment and functional/sports-specific rehabilitation. Shortly after graduating as a physiotherapist, Sarah began her pilates journey with STOTT pilates. She completed her advanced pilates training in South Africa, Canada and the United Kingdom. In 2014 she completed her mat and comprehensive pilates training through BASI pilates. 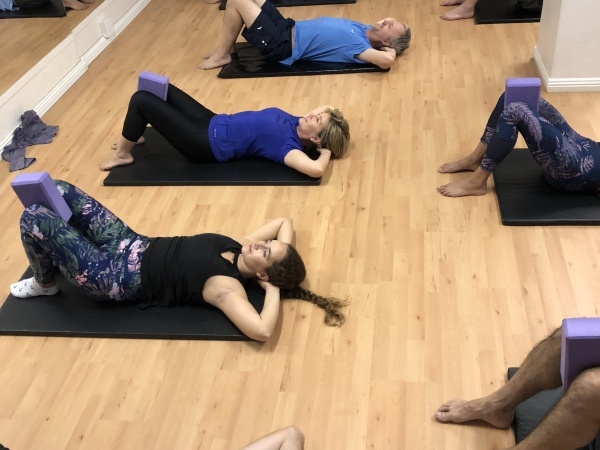 She now lectures for BASI pilates in South Africa and is currently lecturing on the hip and gluteal area and sports specific rehabilitation for runners and cyclists. Kristen is a full-time Pilates instructor and personal Trainer. She studied personal training through ETA in 2009, and opted to include a basic Pilates Mat qualification as an elective. In 2017 she went on to complete the BASI Pilates Comprehensive Teacher Trainer Course and is qualified to teach on all the Pilates equipment including the Reformer, Wunda Chair, Cadillac, Ladder Barrel, Step Barrel and more. Kristen is passionate about the Pilates Method and is dedicated to maintaining her own Pilates practice along with running and functional training. She also has a great love for the outdoors and enjoys hiking and surfing too.